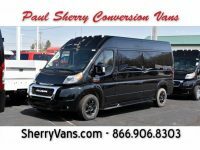 When you visit Paul Sherry Conversion Vans, you will find the 15-passenger van that you are in search of. In addition to our new vans, we also offer used ones, which are perfect for those on a budget who recognize the financial savviness of buying a model with a few thousand miles (or more) on it. 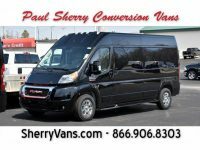 At any given moment, you will find multiple options for your used 15-passenger van at Paul Sherry Conversion Vans. They will span model years, colors, and features, giving you the ability to choose the used model that best fits your requirements as well as your budget. 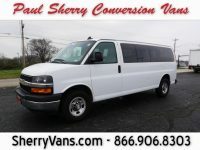 Most are based on the Chevrolet Express 3500 with a V8 engine, but you can also occasionally find other configurations. By opting for a used 15-passenger van, you will automatically save money over the newer models, particularly if you go with an older model year. To further help you bring your chosen vehicle within reach, we also offer financing and trade-ins. As long as your previous conversion van is in good condition, we will gladly buy it from you for a fair price. This not only saves you money on your purchase of a more recent used van but also helps us provide inventory for other clients. Once you choose your 15-passenger van, our finance team will work with you to get you an auto loan that meets your budget so you do not have to worry about how you’re going to pay for the vehicle. While many of our customers live near our Piqua, Ohio, dealership, we also offer delivery. No matter which state you live in, we can give you an estimate for shipping costs upfront so you do not have to wonder how much it will cost to get your chosen van to your home. Thanks to our experience, the vehicle will always arrive at its destination in good condition, and our detailed online inventory means that you know exactly what you are buying. Browse our inventory of 15-passenger vans online or come to our dealership to see them in person and figure out which one is right for you.